Forever and Dragons. – Making sense of an interconnected world. Together. 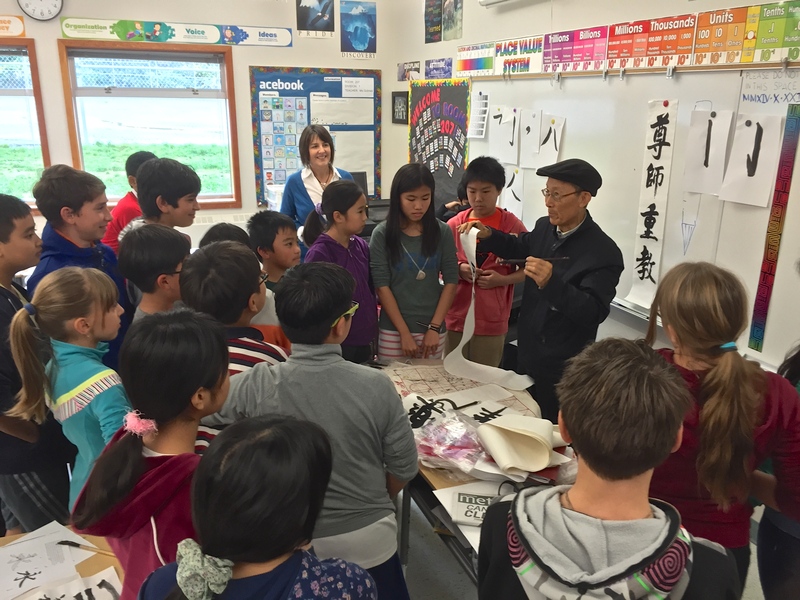 Mr. Harry Yan kicked off the Civilizations unit in Ms. Tracy Gidinski’s class with the swish of a pen – a calligraphy pen. It began in the midst of a deluge of rain. The presenter of slight build awaited a ride to Taylor Park Secondary at the Edmonds Skytrain Station. At the moment of pick-up, the skies opened up, soaking everyone to the core as they loaded into the assigned limo. The brightness of Taylor Park lifted the moods of everyone, and with the welcoming atmosphere of the grade 7 class, the weather was forgotten. The Chinese calligraphy lesson began. A few words of history (Who knew that once the art of calligraphy was learned, you would be a shoe-in for a job in China?) and then some applied skills. (Why is it so important to sit straight with the correct head angle while drawing? How could there be SO many styles of calligraphy? And, how do you get permanent black ink off of hands and desks?) So many micro-lessons all in one session, and so little time. The students tried their best, crafting some beautiful characters in a very short time. 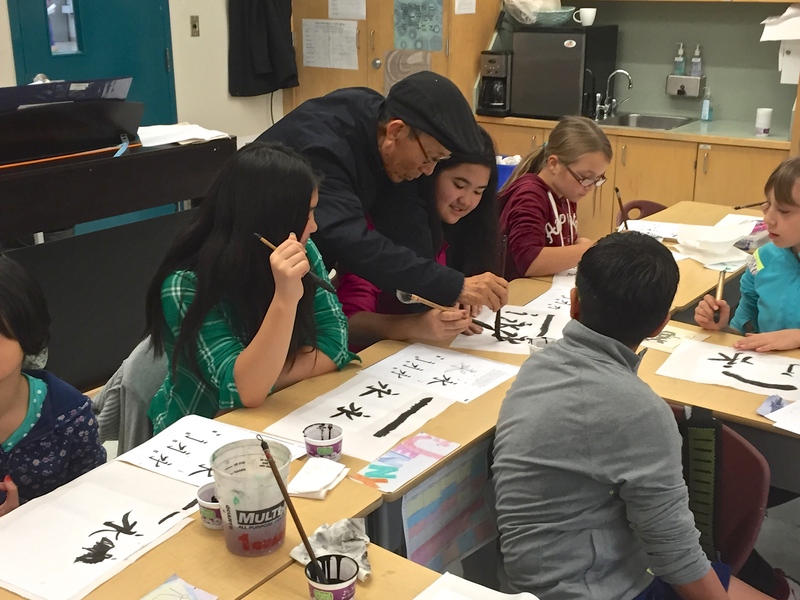 With the aid of our new calligraphy friend, students were introduced to the characters for “Love”, “Forever”, “Dragons” and many more. Even the four character phrase for, “Respect Your Teacher” was demonstrated amidst the giggles of a few students with mischievous eyes. With the brushes washed, and the students smiling their gratitude, Mr. Harry Yan waved good-bye as he left the classroom with his heavy bag of supplies. The rain was gone. What was left was simply the satisfaction of a job nicely done and of new friends made.